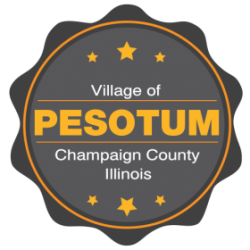 Welcome to the Village of Pesotum! Pesotum is home to many friendly residents as well as a community building, Hartman Park, a bed & breakfast, post office, American Legion, a fire station and Route 45 Wayside, the local watering hole. The village board meets regularly on the first Wednesday of every month. If you have concerns please attend a meeting or contact a village trustee. Throughout the year, the Village will host community events such as the halloween SPOOKTACKULAR, the community garage sales, a clean up day, and days at the park. All ages are welcome. If you are interested in helping or are a local organization interested in co-sponsoring an event send us a message!